THE Second Massachusetts Infantry Regiment was organized in April, 1861, immediately after the firing on Fort Sumter. 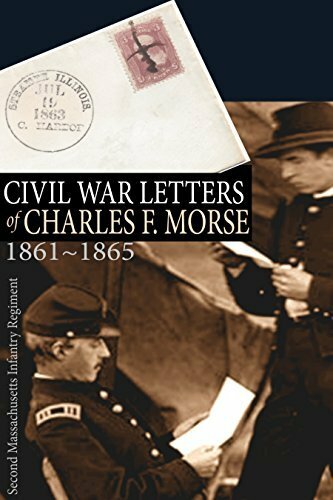 Charles F. Morse was soon among them, eventually rising to the rank of Lieutenant-Colonel. With the 2nd Massachusetts, he saw action at many important battles, including Gettysburg. He served the entire war and this collection of his letters home were published privately in 1898. A friend of Robert Shaw (of the movie “Glory” fame) Morse saw a great deal of action, including the fierce fighting at Gettysburg.